"Katie Lewis is my neighbor. Her father, Randy, is my bishop; her mother, Melanie, is a saint. And her older brother, Jimmie, is battling leukemia. "'They say, "Trust Jesus."' And then she was gone. "Katie Lewis, 'angel and minister of grace,' I’m with you. In a world of some discouragement, sorrow, and overmuch sin, in times when fear and despair seem to prevail, when humanity is feverish with no worldly physicians in sight, I too say, 'Trust Jesus.' 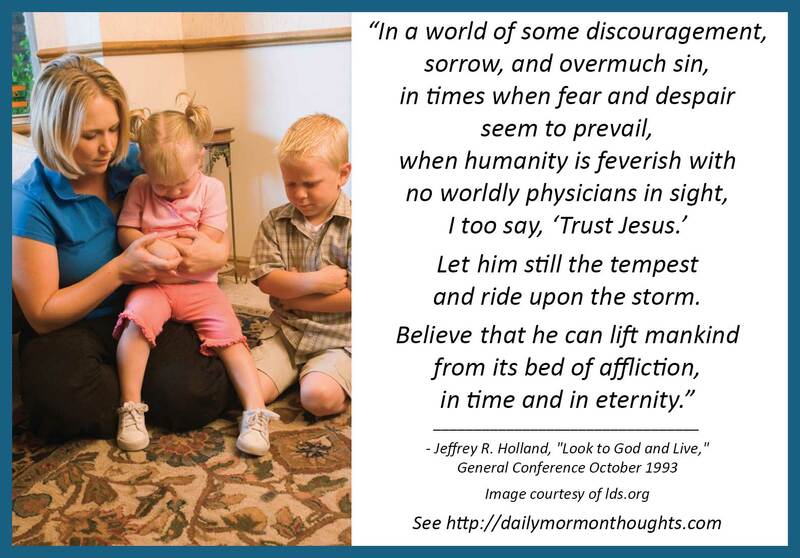 Let him still the tempest and ride upon the storm. Believe that he can lift mankind from its bed of affliction, in time and in eternity. "Oh, dearly, dearly has he loved! And try his works to do." 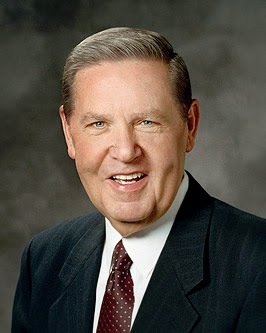 Elder Holland is a gifted story-teller, and some of his best messages are his personal insights and experiences. This tender glimpse into a 4-year-old neighbor's thoughts, and her mother's response, is enough to melt any heart. Clearly that young girl had been well taught, and she had learned several important messages already related to the value of the scriptures and the treasure of their teachings. There aren't many messages more important for us all than "Trust Jesus." To trust means to believe. It means to accept and follow. It means to have faith in promises of help and sustaining power. It means to rely on the merits, and mercy, and grace that are offered to us by Him. What a tender and powerful message!